Harlemite Rob Base put together a hip hop group in 5th grade called Sureshot Seven. “A bunch of us put together a little hip hop group. It was fun back then. We had a couple of DJs and MCs. In time we all branched out and did our own thing. At the end of the day it wound up being just me and DJ E-Z Rock. So that is how we kept it,” claimed Rob. The DJ Interview was Bases’ first single on StarMaker Records. StarMaker was a record company that promoted local rap shows around the area and in the Tri-state area. They did old school with the crash crews, boogie boys and groups like that. “Originally we traveled with them carrying their equipment. When we started rapping, they signed us and we did a compilation album with a couple of other rappers and that resulted in DJ Interview,” said Base. Base talked about the difference in rap when he started and the rap of today. “Back in our day, it was basically about getting the party started, having people dance, rap and have a good time. That is pretty much what we were trying to do in our era. Today is a lot different. However, it’s a different day and a different time from when I started,” remarked Base. The song also peaked at #3 on the Hot Dance Music Club Play chart. The follow-up hit single was “Joy and Pain,” which sampled a song of the same name by Maze featuring Frankie Beverly. The Duo encountered some legal problems with DJ E-Z Rock having problems with management. “People think we broke up due to discourse between us but it wasn’t that. It was because DJ E-Z Rock had contract issues with management and at that juncture, it was time for me to go solo. It was hard because DJ E-Z Rock and I had been together since we were kids. But DJ E-Z Rock was still involved with my solo album Turn It Out (Go Base). 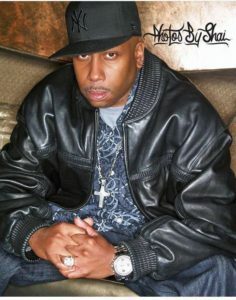 While DJ E-Z Rock remained active as a DJ, he died of a diabetic seizure in 2014. 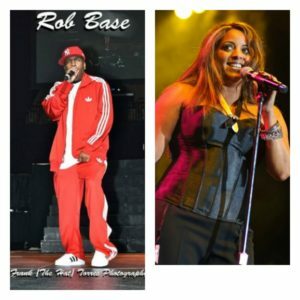 Rob Base will be appearing with Cynthia, TKA/K7, Judy Torres, Noel, Coro, Sa-Fire, Corina, Lydia Lee Love, Soave, et al, at Forever Freestyle 11, at Lehman Center for the Performing Arts in the Bronx on Saturday, March 4 at 8pm. Interested parties can purchase their tickets at the Lehman Center Box office by calling 718 960-8833 or by going on line at Lehmancenter.org. Cynthia dropped by to talk. Semi-retired but performing every weekend, Cynthia started her career in 1987 by auditioning for MicMac Records winning a 5 year contract at age 18. Her records “Change on Me,” “Dream boy/Dream girl” a duet with Johnny O, and “Endless Love” were big hits. She eventually moved to Tommy Boy Records. She studied Nursing but ended up going into Banking where she has currently been a branch manager for 15 years. “I never got the nursing degree because music is my first love. I wanted to work with different styles and producers. I wanted to branch out and was presented with the opportunity to work with Tommy Boy to work with different artists. I started working with Sa-Fire and K7. I love working with my friends. In fact, I am looking forward to doing a duet with George Lamond and Judy Torres who I will perform with at the Forever Freestyle 11 concert. Freestyle got mass exposure in 1987, ’88 and ’89 and then went into somewhat of a decline due to lack of radio exposure. However a radio station has emerged that’s again playing Freestyle. So Freestyle never died just reinvented itself,” said Cynthia. “Endless Night,” was the second song on the album Cynthia. “My friend Jeanne and I spent endless nights writing songs. Hearing Endless Night come to life in the studio exactly how we anticipated the song was a great experience.” said the dance-style artist. 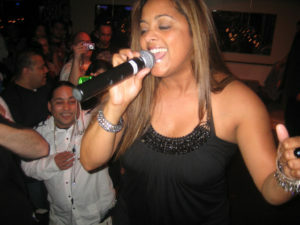 “Change on Me” was the first song Cynthia wrote for MicMac. She did “How I Love Him” with Timber Tommy Boy and Like A Star was on the same label. “Unfortunately we waited too late releasing Like A Star and I think missed the boat. I was thinking I might go back into the studio to produce and re-release Like A Star in today’s style. It’s definitely in the works. Meanwhile, Cynthia will join Rob Base and the aforementioned Freestyle artists on Saturday, March 4th at 8pm for Forever Freestyle 11, at Lehman Center for the Performing Arts in the Bronx. Don’t miss it!